Our range is ideal for quick shipping solutions, either by post or courier for light items or for transport for heavier or bulky goods. With our packing boxes they are manufactured using high quality corrugated card and come in both single and double wall. If required we can also manufacture heavy duty boxes. These boxes are idea for various uses for large and small business. These are a great product for those quick business or individual solutions, they are multinational, cost effective and idea for shipping via post or courier and ever for larger and bulky goods shipping and transporting. 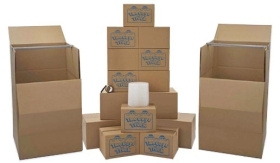 We supply all packaging boxes collapsed and bundled for safety and convenient storage. All orders can be shipped immediately.